Play’n Go releases another fantastic video slot, this time themed on the gigantic and most threatening dinosaur T-Rex! Raging Rex was released by Play’n Go on the 10th of January 2019 which makes it the first video slot release for this games developer. Raging T-Rex is a 6 reels, 4 rows and 4096 ways to win video slot. 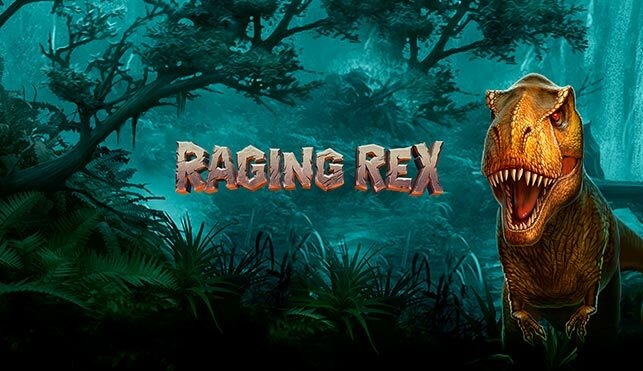 Some of the game features of Raging T-Rex includes: Free Spins, Rampage feature, which is a stacked wild that can land on the 2nd and 6th reels. There is also the Wild Hunt where the stacked wilds are removed, and instead, it’s replaced with x2 or x3 multipliers to the Rex wild symbols that can combine to multipliers up to x243. Another game feature is the Primal Rage which a Stack of wilds appears on reels 2 to 6 (similar to the Rampage Feature) but moves to a new reel with each spin. The theoretical payout percentage of Raging Rex video slot is set to 96.34%, with a maximum potential win of 5,000 times the stake amount. 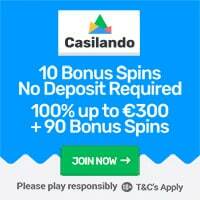 Players can choose to bet from €0.20 up to €100 or equivalent. Are you ready to step into the dinosaur era? Do you got what it takes to play with these gigantic creatures? 100 Free Spins on Raging Rex Video Slot! 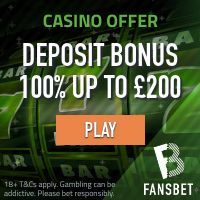 Join 21.com Casino and get 210 no deposit free spins to play on 7 Piggies video slot powered by Pragmatic Play. The free spins are distributed in batches of 10 for 21 consecutive days.The no deposit offer is only available for players residing in the following Countries: Finland, Norway, Sweden, Austria, Canada, Iceland, Japan, Luxembourg, Malta, New Zealand, and Switzerland. Make your first deposit and use the promotional code REX to claim 100 free spins on Raging Rex the latest Play’n Go video slot. This offer is not available for players residing in the UK and Sweden. This special offer is available from 10th of January – 7th of February 2019. Other match deposit bonuses for new players! All bonuses must be wagered 50 times before the bonus balance becomes withdrawable. Click here to join 21.com and claim this fantastic offer on Raging Rex! Game Preview on Raging Rex Video Slot powered by Play’n Go!